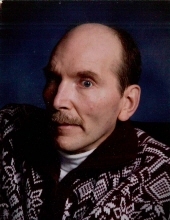 Roger Rill was born June 20, 1955 at Aurora, MO., and passed away February 4, 2019 at his home in Billings. He graduated from Billings High School and Southwest Missouri State University with a degree in technical physics. After a short career at the Southwest Power Plant, he attended University of Missouri at Rolla to pursue an advanced degree. He was diagnosed with Chronic- Progressive Multiple Sclerosis in the early 80’s and was quickly confined to a wheelchair. He resided in his childhood home with his devoted mother until his death. He was blessed with the loving care of his mother, and his cousins/caregivers, Paula McCroskey and Cindy Wagemann. Special thanks are extended to Tracy Davis and Good Shepherd Hospice for outstanding care. Roger enjoyed the St. Louis Cardinals and Missouri State Lady Bears. He was preceded in death by his father, Wilbur Rill and is survived by his mother Kathleen Rill and sister, Denise and her husband, David Hampton of Billings; and niece, Sanya Lenahan, and her children, Gavin and Paige, Springfield, as well as a host of aunts, uncles, cousins, and friends. Visitation will be held Wednesday, February 6 from 5:00 to 7:00 P.M. at Meadors Funeral Home Chapel, Billings MO. Funeral services will be at 10:00 A.M. Thursday, February 7, 2019 at St. Peters United Church. In lieu of flowers, the family requests that contributions be made to St. Peters United Church of Christ or the M.S. Society. Roger was much loved and will be greatly missed. To send flowers or a remembrance gift to the family of ROGER BRICE RILL, please visit our Tribute Store. "Email Address" would like to share the life celebration of ROGER BRICE RILL. Click on the "link" to go to share a favorite memory or leave a condolence message for the family.